How to Boost your Home’s Curb Appeal this Spring! 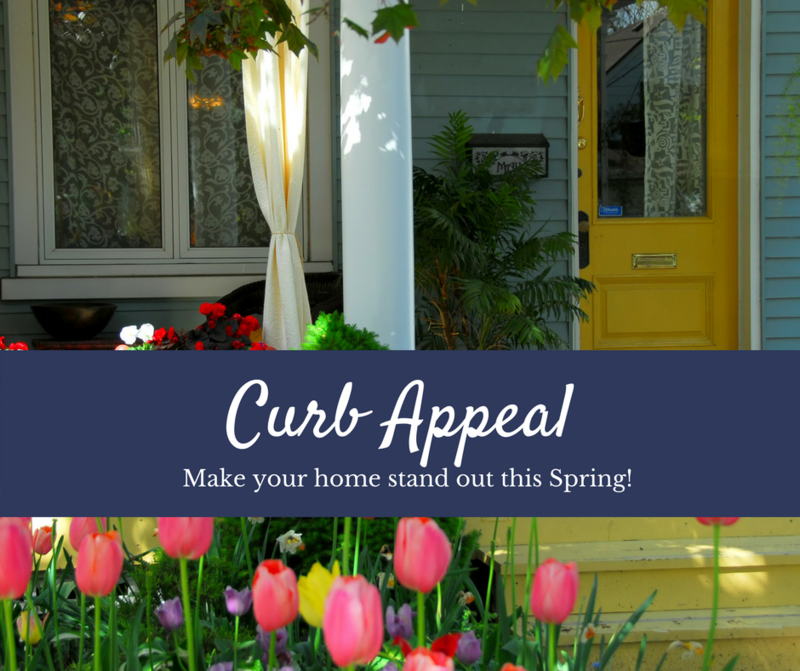 The Spring housing market is heating up in Clark County, and while last week’s rain my have slowed you down, remember that now is the perfect time to get outside and boost your curb appeal. Are you thinking about selling? Updating your home’s curb appeal makes a great first impression on potential buyers and entices them to come in and see more. Even if you’re not thinking about selling, why not create a beautiful space that you’re happy to come home to! My top tips for boosting your home’s curb appeal are below. Not sure where to start? We’ll share a few of our local resources throughout the week, plus, our brokers have a lot of experience providing guidance to homeowners as they prepare their house for market. Let us know how we can help! If you want to update your home’s curb appeal, giving the exterior a thorough cleaning is a great place to start. Pressure wash your home’s vinyl or wood exterior, and wash brick by hand. Remember to replace storm windows with screens, wash windows, clean gutters, downspouts, and doors. Deferred maintenance can cause damage and decrease your home’s value. Check the foundation and walls for deterioration and damage, look for signs of pooling water, remove mildew and moss, replace missing mortar between bricks, reseal cracked asphalt, and touch up faded or cracked paint. Look for peeling or chipping paint and update your home with a coat of new paint if needed. Paint the door, trim and shutters, too. Remember to prep the surface area before you begin painting. Remove moss and dirt that have built up on your roof or replace the roof. The median cost of a new asphalt shingle roof is $7,500 and you’ll see a great return on your investment. A well-maintained landscape adds to your home’s value. Weed beds and add fresh bark if needed, prune shrubs, rake up fallen leaves and blossoms, and reseed and mow your lawn. Consider flowers or potted plants at your front door. Polish door hardware, purchase new house numbers, update your exterior lighting, and add more lighting to increase the safety of your entryway.